WOW! Run over for this Legging Blowout | Printed+Solid ONLY $5.99 (Retail $29.99) before they sell out. Step out and get noticed in these beautiful leggings. 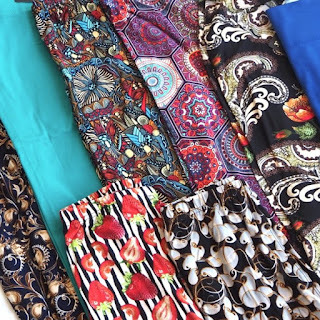 These head-turning leggings come in stunning prints and solid colors. The stretchy, soft fabric and elasticated waistband makes it very comfy to wear all day long. Available in lots of different patterns. Buy more than one. It will SURELY be a FUN addition to your everyday style. $3.99 for the first item and $1.99 for each additional item. US only. Seller usually ships within 4 business days. Ships no later than Thu, Feb 22.